I swear this wasn't deliberate. 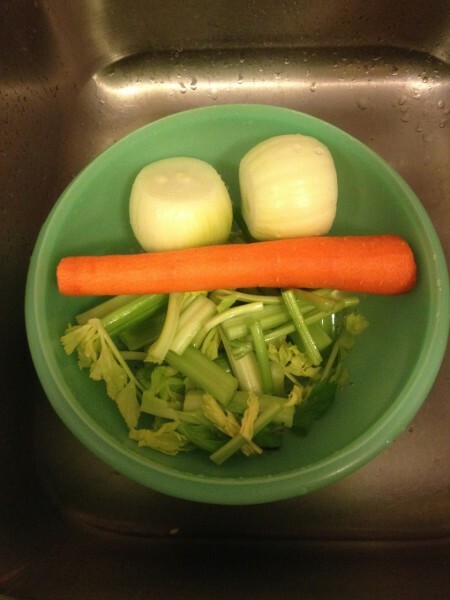 I was prepping some veggies for a thing I was making to take to a family dinner tomorrow and putting them into a colander to rinse all at once with pre-boiled water (stupid boil water advisory has been on for two solid weeks now, blah) when I looked over and saw this. Vegetables have never been happier to be part of Christmas dinner. Have a great Christmas if you do one, and have a great 25th of December if you don't! Current Music: The Fireplace Channel. That was a bit of synchronicity..lol Been watching Rankin and Bass specials, soon to be followed by Baryshnikov's Nutcracker. It was quiet and small, and the thing the veggies went into turned out rather more porridge-y than I'd hoped but yeah, overall it was good. Thread started by squishy is the new shiny! Hope you had a lovely Christmas! I had a great time with family and lots of amazing food. It was okay even though the thing the veggies went into turned out more goopy than I'd hoped.